Llandrindod Wells Bed and Breakfasts. Compare latest rates and Live availability for all your favourite places and places you have always wanted to go using our new My Shortlist feature. Click + to add to your Shortlist. Bed and Breakfasts in Llandrindod Wells, Powys for 1 night from Fri Apr 19, 2019 to Sat Apr 20, 2019 within 10 miles, in an Average Nightly price range of £1 to £200. This 4-star Victorian property offers free parking and spacious rooms with free Wi-Fi in the centre of Llandrindod Wells. It is walking distance from local shops, pubs, bistros and restaurants. Portland House is a Grade II listed building retaining many of its original features. Each bedroom has a flat-screen TV and tea/coffee making facilities, and some rooms have countryside views. There is a dining room where breakfast is served. The Portland House Tea Room is located below the Bed and Breakfast, and offers a range of drinks, afternoon and cream teas, locally made cakes and various hot and cold food. The Hotel Commodore & Spa is a former ten bedroom Rectory Building built in the late 19th century in the height of the Arts and Crafts movement and was commissioned by the Archdeacon Henry De Winton. Some years later it was converted into a grand Victorian Hotel with its first premises license being issued in 1903 giving the hotel a grade 1 listing due to it architectural heritage and historical interest . This 45 bedroom hotel offers free Wifi TV s tea and coffee making facilities with telephone and hairdryers available. We are also a dog friendly hotel for which there is a charge of �15.00 per dog per night please check room selection type being booked if you are bringing your pet as not all room types are suitabel for all breeds of dog. The Hotel Commodore is ideally situated in the Heart of Wales and right in the centre of the Victorian Spa town of Llandrindod Wales a Victorian Spa town steeped in history. The hotel boasts breathtaking uninterrupted views of amazing countryside with its rolling hills and deep valley. Just s short walk from the hotel you will find Rock Spa Park a grade 1 listed park which was once a haven for the wealthy gentry visiting the spa town to taking in the waters. The Hotel provides an ideal base from which to explore the beauty of Mid Wales with great connections to the Brecon Beacons and the Elan Valley both just a short drive away. We are also ideally located for business travelers as well as the tourists as within easy walking distance to the hotel are the head quarters of Powys County Council and for those travelling by car the Hotel features its own large onsite free car park. The Hotel also has is very own beauty spa which was launched in March 2013 with a range of treatments on offer so please be sure to pick up a brochure when you check in. The Hotel Commodore is set in the heart of Wales, in the spa town of Llandrindod Wells. This Victorian hotel offers free WiFi in public areas, free parking, a restaurant, the Bishops Bar and a spa. This grand, historic Victorian building has been a hotel since 1886 and is within easy reach of all that Llandrindod Wells has to offer, including the spa waters, the beautiful lake and the rows of shops. A former rectory building, this Grade I listed building features Arts and Crafts design. It offers beautiful views of the surrounding valley and hills. Each of the Hotel Commodore's en suite rooms is individually decorated, with a traditional style. Spacious and comfortable, all of the rooms have TVs, telephones and tea/coffee. Hairdryers are in every room and ironing facilities are available on all corridors. The rear garden is secure for dog and children with a large decked area. A traditional cooked Welsh breakfast is available every day. The De Winton Restaurant offers good-value food and the menus change regularly to reflect the best seasonal produce available locally. In 2017 The Hotel Commodore were proud winners of Channel 4's Four in a Bed voted best B&B in the competition. The Glen Usk Hotel is situated in the centre of the pretty spa town of Llandrindod Wells directly opposite Temple Gardens and just a short walk from the shops. After a day exploring mid-Wales you can be sure of a warm welcome friendly service and comfortable accommodation. Guests can dine in comfort in our light and airy restaurant. Start the day with a heart breakfast and in the evening our restaurant and bar menu is available. Enjoy and drink in our relaxing lounge or watch the sunset from the hotel terrace overlooking the Gardens. Our 79 bedrooms are en-suite with televisions and tea and coffee facilities. There is a lift to all floors. Free Wi-fi is available in the lounge and bar and limited parking spaces are available. The Glen Usk is 7 miles from the Royal Welsh Showground at Builth Wells which hosts events such as antique fairs dog shows and the Royal Welsh Show (July) and Royal Welsh Winter Fair (November). Llandrindod Wells hosts a spectacular Victoria Festival every year in August. Situated seven hundred feet above sea level and surrounded by some of the most beautiful scenery in Wales Llandrindod Wells is one of Britain s hidden treasures. It was the Romans who were the first to appreciate the beauty and value of Llandrindod Wells followed centuries later by King Charles ll who regularly came to the health-giving spring waters. The Victorians developed the town into a fashionable Spa. Many reminders of this elegant era remain and the town still remains a genteel atmosphere reminiscent of a bygone age. Pretty Temple Gardens is the ideal place to relax and watch the world go by whilst for the more energetic there is an international indoors bowling centre three magnificent outdoor bowling greens a golf course lovely fishing lake and nature trails across the surrounding hills. There is a range of things to do and places to see. The Brecon Beacons National Park medieval Powis Castle and famous gardens are worth a visit as are the market towns of Presteigne and Knighton. Take a memorable drive though the Elan Valley where the Visitors Centre unfolds the history of its reservoirs sand dams. Enjoy a day at the seaside in Aberystwyth and there are bargains galore at the Royal Welsh Crystal Factory at Rhayader. Set in the centre of mid-Wales spa town of Llandrindod Wells, the Glen Usk Hotel has a spacious bar lounge, restaurant and sun patio overlooking Temple Gardens. There is free Wi-Fi in public areas of the building. The Glen Usk Hotel has a function room with a dance floor, where entertainment is regularly held. Cots, high chairs, a children's menu and a baby listening service are available. All bedrooms are en suite and feature TV and tea/coffee. There is a lift to all floors and limited free car parking. The Glen Usk is 7 miles from the Royal Welsh Showground at Builth Wells, which hosts events such as antique fairs, dog shows and the Royal Welsh Show (July) and Royal Welsh Winter Fair (November). Llandrindod Wells hosts a Victorian Festival every year in August. Highland Moors is the last Victorian Hydro Spa Hotel left in Wales, now a refurbished guest house and venue for conferences, functions and meetings. Set only 6 miles from the Royal Welsh Showground and a 20-minute drive from the Elan Valley, it has free Wi-Fi throughout and free secure parking. In the mornings, full English breakfast is served in the elegant breakfast room. Dishes are prepared using the freshest, free range, and locally sourced produce. There is also a full range of healthy breakfast options including cereals, museli, fresh fruit and yogurts. Evening meals are available for 6 or more diners by prior request. All rooms at Highland Moors are spacious and have a TV, hospitality tray, a hairdryer, leather sofa and chairs. Most rooms have an en suite bathroom and some have a private external bathroom. The guest lounge offers sofas, a wood burner, pool table and games. There is also a secure lockup for motorbikes, mountain bikes and golfing equipment. The children's outdoor play area includes a fort, swings, zip-wire and trampoline. There are plenty of outdoor activities within 1 hour from Highland Moors including off-roading, rally driving, motorbiking, golfing, shooting, fishing, mountain biking, walking, horse riding, sailing and bowling. The property has secure equipment storage facilities. Small Breeds Farm and Judges Lodging are a 40-minute drive away and there is easy access to the A483 road. THREE WELLS HOTEL. We re a unique small hotel nestled in the heart of Wales. Whether you re visiting the Royal Welsh Showground doing business in Llandrindod Wells or getting active walking cycling mountain biking or kayaking through some of Wales finest countryside Three Wells is your perfect base. Relax in comfortable stylish accommodation enjoy meals prepared by our dedicated professional chef unwind in our extensive and well appointed lounge bar or watch the sun set over the Three Wells lake from our south-facing terrace. The choice is yours but you won t be disappointed. B&ampB and Self-catering suites that sleep up four persons. Approx 8 miles from The Royal Welsh Show Ground. Some accommodation pet friendly. All self-catering suites are ground floor and have a fully fitted kitchen cooker/fridge/diner. This elegant Georgian House is the home of Anne & Tony Millan and their aim is to offer their guests an enjoyable, value for money stay complemented by professional yet unobtrusive service. Offering a restaurant, Bryncoed Guest House is located in market town of Rhayader, overlooking the Cambrian Mountains. This Victorian property offers free Wi-Fi access in all areas. Rooms here will provide you with a TV, tea/coffee making facilities and heating. Most rooms offer an en-suite bathroom and some rooms boast views of the surrounding area. At Bryncoed Guest House you will find a secluded garden with stunning views of the Elan Valley and the town of Rhayader. The local area is well known for its population of Red Kites. The Red Kite feeding Station at Gigrin Farm is less than 1 mile away. Rhayader Leisure Centre is a 2-minute walk away and offers a swimming pool, squash court and fitness room. The Elan Valley Visitor Centre is less than 4 miles away and Llandrindod Wells is 11 miles away. Brecon Beacons National Park is 40 miles away and Cardiff can be reached in less than 2 hours by car. Amid 27 acres of parkland, surrounded by the River Irfon, Caer Beris Manor Country House Hotel is a beautiful country retreat in Builth Wells, near the A483, on the Breacon Beacons. In the heart of the Welsh Countryside, Caer Beris Manor is perfectly placed for a relaxing weekend break, with tranquil surroundings and fine dining. And yet all less than 3 hours from Manchester, Birmingham and London. Returning guests say that as you turn in through the gates and start up the long drive, the cares of the world seem to disappear. Set in a commanding position above the parkland as it sweeps down to the river, Caer Beris Manor dominates the landscape. After a warm welcome, relax in one of the comfortably furnished lounges, complete with roaring log fires alight throughout the winter. Greylands Guest House is located in the town of Llandrindod Wells, in Powys. Built in 1897, this Victorian property offers free Wi-Fi access in all areas and free parking. Rooms at Greylands will provide you with a flat-screen TV, tea/coffee making facilities and a hairdryer. One room has a private bathroom and all other rooms offer an en-suite bathroom. Some rooms offer views of the town and the surrounding countryside. Routes for walkers, cyclists, motorcyclists or drivers can be supplied. Also walking parties can be dropped off and collected from their start and finish points, and secure garage parking is available for bicycles and motorcycles. Greylands Guest House is just a 7-minute walk from Llandrindod Railway station and Llandrindod Wells Golf Club is a 5-minute drive away. Brecon Beacons National Park is 34 miles away and Aberystwyth is 45 miles away. Greylands Guest House is a Victorian property built in 1897 with 4 storeys.There are seven bedrooms of different size single double twin and family all en-suite except one single. br / br / br / br / The rooms are all comfortably furnished and recently decorated with television and free wifi available for guests. br / br / br / br / The thing that we pride ourselves most on is making guests feel welcome. Being a family run business we understand the importance of feeling at ease when you are away from home whether it is for business or pleasure. If you are exploring the area Tony is a mine of local information always happy to help with suggested routes for walkers cyclists motorcyclists or drivers. Walking parties can be dropped off and collected from their start and finish points too so you can organise your day to suit you. br / br / br / br / You can be sure of a warm welcome at Greylands and a relaxed flexible approach that is in keeping with the atmosphere of Llandrindod Wells a very happy and friendly town. br / br / br / br / There is no shortage of activity to keep visitors to Llandrindod Wells busy with plenty to see and do in this beautiful part of the country. br / br / br / br / Guests are always made to feel welcome at Greylands. The atmosphere is friendly with comfortable well-equipped accommodation. br / br / br / br / There is off road parking for three cars with a garage for storing motor bikes and cycles and the town car park is opposite. Greylands Guest House is a Victorian property built in 1897 with 4 storeys.There are seven bedrooms of different size single double twin and family all en-suite except one single. The rooms are all comfortably furnished and recently decorated with television and free wifi available for guests. 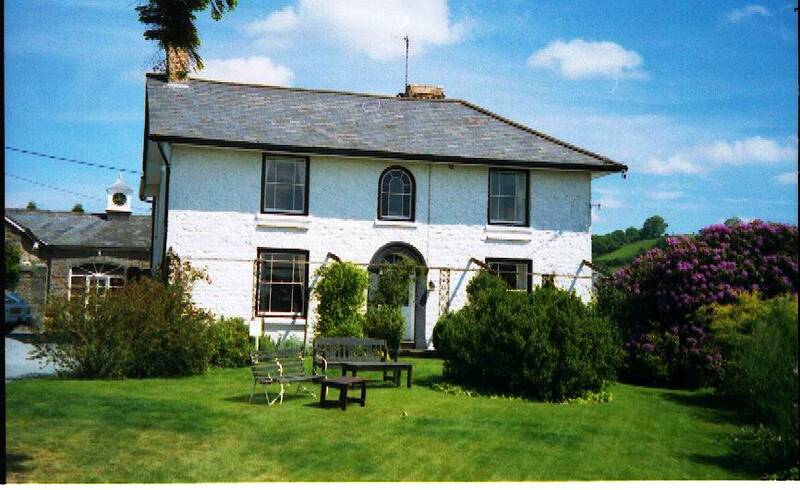 Portland House Bed and Breakfast Llandrindod Wells offers quality Bed & Breakfast accommodation in a great location. Portland House is a family run business. We have recently refurbished Portland House to provide light spacious rooms with fantastic ensuite or bathroom facilities (all having both baths and showers) whilst retaining many of the original features of this splendid Victorian Grade 2 listed building in the centre of Llandrindod Wells. Llandrindod Wells is in the middle of Mid Wales and is a great place to tour the surrounding areas from. With many outstanding areas of beauty and historical relevance you are never without something to do or see. There are many places to visit within a short car journey such as Hay on Wye (famous for their book festival) The Elan valley (four reservoirs and many great walks) Builth Wells (The Royal Welsh Show) and Leominster (Antique centre). br / br / br / br / There are also many places of interest in Llandrindod Wells and as we are situated in the centre of town these are no more than a few minutes walk away. They include The Lake The Rock Park and Spa Temple Gardens and the Albert Hall. If you wish to do something a bit more energetic there is the Bowling Centre both indoors and outdoors as well as the fantastic Harry Vardon designed Llandrindod Wells Golf Club (see services for golf deals) with its challenging course and probably the best views in Powys. We also have a Tennis Club and a Leisure Centre. Portland House itself is situated in the heart of Llandrindod Wells within walking distance to all of the local shops pubs bistros and restaurants. Portland House is a splendid Grade II listed building which retains many of its original features. br / br / br / br / With so many things to do or see on your stay we feel that Portland House is a great place to unwind and relax at the end of your day. We aim to provide you with a warm welcome in a beautiful building. To make your stay as comfortable as possible we have also provided a residents lounge where you can relax reading a book or watching some television after a days sightseeing/walking or playing golf. Centrally situated in the historic town of Llandrindod Wells, the Hampton Hotel features free Wi-Fi in public areas and free onsite parking. The Royal Welsh Agricultural Society and Showground is 10 minutes' drive away. The rooms offer a TV and tea and coffee making facilities. The rooms also benefit from an en suite bathroom. Hairdryers and ironing supplies are available upon request. In the mornings, the Hampton Hotel serves a substantial fully cooked breakfast. The onsite Chinese restaurant can seat up to 70 guests and offers an all-you-can-eat buffet. The centre of Llandrindod Wells is home to several cafes and restaurants. The Hampton Hotel is just 1 mile from Llandrindod Wells Golf Club and the local bowling club is only a 5-minute stroll from the property. The town is just 1 hour from the Brecon Beacons National Park. The motorcycle-friendly hotel has a free secure lock-up for bikes. Dogs are also welcome at the Hampton Hotel, but only one dog allowed per room. Wonderful surrounding countryside complements the splendour of this Victorian-style, family-owned holiday and conference hotel in the centre of the spa town of Llandrindod Wells. The 120 en suite rooms are equipped to a very high standard. There is also a superb indoor leisure spa and state-of-the-art gym facilities, complemented by an award-winning restaurant. Laurel Bank can be found in mid-Wales in the village of Abbeycwmhir. In a picturesque location by the Cambrian mountains Laurel Bank offers high-quality bed and breakfast accommodation. Guests can enjoy a freshly cooked full English breakfast with a choice of cereals and juices. Packed lunches are also available on request. The spacious bedrooms all have satellite TV tea and coffee facilities and free Wi-Fi. Two rooms are en suite and 1 has a private bathroom. Surrounded by hills the village sits in the base of the valley close to the Clywedog Brook and is on walking trails and cycle routes. The spa town Llandrindod Wells is just under 9 miles away and the pretty market town Rhayader is around 6 miles from Laurel Bank. Please note that we only accept CASH for payment. Laurel Bank can be found in mid-Wales, in the village of Abbeycwmhir. In a picturesque location by the Cambrian mountains, Laurel Bank offers high-quality bed and breakfast accommodation. Guests can enjoy a freshly cooked full English breakfast, with a choice of cereals and juices. Packed lunches are also available on request. The spacious bedrooms all have satellite TV, tea and coffee facilities and free Wi-Fi. Two rooms are en suite and another has a private bathroom. Surrounded by hills, the village sits in the base of the valley close to the Clywedog Brook, and is on walking trails and cycle routes. The spa town Llandrindod Wells is just under 9 miles away, and the pretty market town Rhayader is around 7 miles from Laurel Bank. In the centre of Builth Wells, Bronwye Guest House is a 4-star rated bed and breakfast on the route of the Wye Valley Walk. Dating back to the 19th century, this Powys guest house offers river views, a full Welsh breakfast, and free parking and Wi-Fi. Each room has en suite bathroom facilities with shower and complimentary toiletries. There is a flat-screen TV, wardrobe, hairdryer and tea and coffee facilities in all rooms. A full Welsh breakfast is served, along with various lighter options and a vegetarian version. There is also a choice of cereals, fresh fruit and juice. By the River Wye, this mid-Wales market town is home to Builth Castle, the Royal Welsh Showground and one of the area's many golf courses, which is 2 minutes' drive from Bronwye Guest House. The Brecon Beacons National Park and the border with Herefordshire lie around 30 minutes' drive to the south of Builth Wells. Set in Rhayader, near Elan Valley, Ty Morgan's Apartments features free WiFi. There is also a kitchen in some of the units equipped with an oven. Guests can dine in the in-house restaurant, which serves a variety of British dishes and also offers gluten-free options. Guests can go cycling or fishing, and the property offers a bicycle rental service. With a picturesque village location in Rhayader, Elan Hotel is surrounded by scenic Powys countryside. The traditional inn features a restaurant and cosy bar with free Wi-Fi. The bright and airy bedrooms each have a private modern bathroom and a flat-screen TV. Tea/coffee facilities are provided, and board games are also available. The spacious restaurant serves classic British cuisine, and the bar offers a range of beverages and snacks. Guests can also enjoy drinks in the garden or lounge. Just off the A470 road, the Elan Hotel is less than an hour's drive from Aberystwyth and the beaches of Cardigan Bay. Free parking is available, and Llandrindod Wells is a 15-minute drive away. The Lamb and Flag Inn is located in the centre of Rhayader, 6 km from Elan Valley. This inn offers a bar. Every room is fitted with a terrace. At the inn, each room is fitted with a wardrobe and a flat-screen TV. The rooms are fitted with a private bathroom. Breakfast can be enjoyed across the road at Ty Morgans, with a voucher provided by the property. The Lamb and Flag has 6 en-suite rooms all with tea / coffee facilities Tv shower and toilet. Our room 5 has wheelchair access and bathroom is fitted with handrails and a walk in shower. br / br / br / br / We have a choice of lagers ciders and ales on our bar where you can watch sky sports or enjoy our live music which will be on most weekends. br / br / br / br / The Lamb and Flag is located in the centre of Rhayader close to the Elan Valley and Red Kite centre where you can have a day of exploring the scenery. Between Newtown and Llandrindod Wells, the family-run Lion Hotel in Llanbister offers well-appointed en suite rooms and a cosy dining room and bar. There is free on-site parking and Wi-Fi at this Powys inn. Each room has a TV or flat-screen TV with a DVD player and Freeview channels. The rooms also include tea and coffee making facilities and all have a bathroom with shower and complimentary toiletries. A full English or vegetarian breakfast is served each morning, with tea, coffee or juice, cereals, cereal bars, fruit, yogurts and toast with jam and marmalade. The pub serves a range of meals, including authentic Indian curries, burgers, steaks and sandwiches. Close to the Elan Valley and Glyndwrs Way, The Lion Hotel is ideal for walkers and bikers. The property offers shelter for bikes and motorbikes. The Lion Hotel is just under 1 hour's drive from the Brecon Beacons and just over 1 hour from Aberystwyth on the West Wales coast. The English border is a similar distance to the east, with Hereford around 45 miles away. This property is located in Llandrindod Wells.Free WiFi is available and free private parking is available on site. The property features a bar which serves food and a garden. You can play pool at the hotel and there are two beer gardens. The Metropole Hotel & Spa is located in centre of the Victorian Spa Town of Llandrindod Wells this comfortable and spacious hotel is an ideal location from which to explore the beautiful Mid Wales countryside a wide variety of attractions and wealth of outdoor pursuits. The Restaurant with AA Rosette offers the finest of classical cuisine and superb leisure facilities include an 18m pool sauna steamroom jacuzzi solarium and fully equipped gym with TVs. Holistic treatments also available. A member of Classic British Hotels. This splendid Victorian heritage building offers hotel accommodation in the historic spa town of Llandrindod Wells. The shops and restaurants of the town centre can be reached in 5 minutes' walk. Rooms at The Montpellier Hotel are furnished in keeping with the building's traditional appearance. There is free Wi-Fi available throughout, and space for free private parking on site. The hotel's restaurant serves a range of hearty meals made from locally sourced ingredients. A full cooked breakfast is available in the morning, and guests can relax in the bar or the terrace garden. Llandrindod Rail Station is a 10-minute walk from The Montpellier. Guests can visit the town's museum, with displays dating back to Roman times. This modern 3-storey guest house offers contemporary accommodation in the heart of the historic market town of Rhayader. A selection of 9 guest rooms is available for a convenient and private stay. Individually styled by an interior designer, each room offers a variety of modern facilities. The hotel itself overlooks the town centre and is part of a complex that includes the hotel's Morgans Bistro and The Strand Coffee and Sandwich shop.